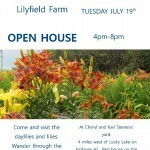 Lilyfield Farm – Lilies and daylilies on the Canadian prairies. New for winter 2019. 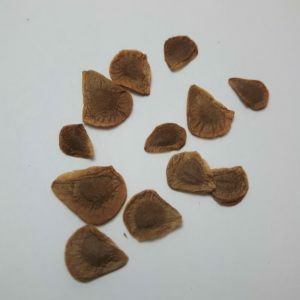 We are offering lily seed for sale. 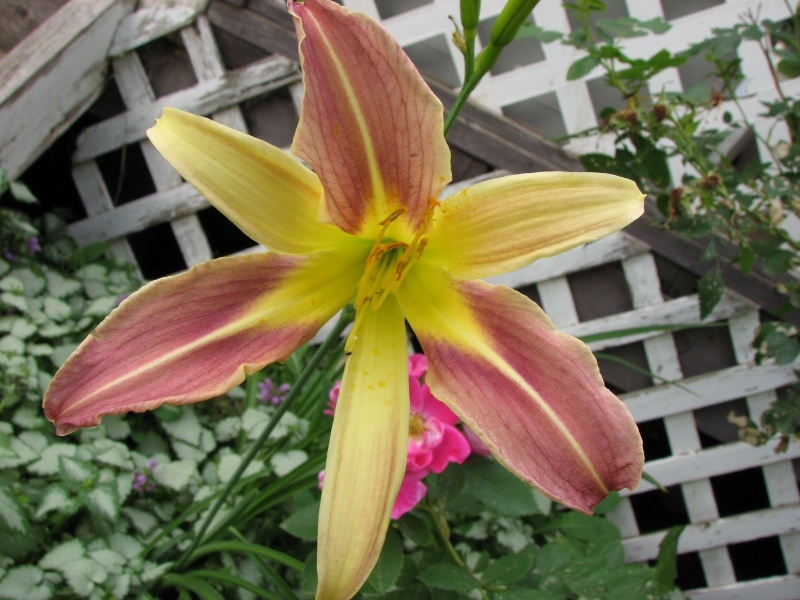 Like many perennial flower garden plants, they take 2-3 years from seed to bloom. Try a couple packets and watch them grow. Free Shipping in Canada. $8.00 CDN for US customers. Another dry year ,farming and growing flowers here on the Canadian prairies! We introduced two new daylilies for 2018, NEXT YEAR COUNTRY and KC ON A HILL. Both a tribute to our ranching and farming life! The main focus of Lilyfield farm is to breed perennials that will thrive in the Canadian climate, specifically Zones 2, 3, and 4. View our past introductions and new ones here. Our winters bring any type of weather, from big freezes and thaws in January to no snow cover and -35 Celcius is February. 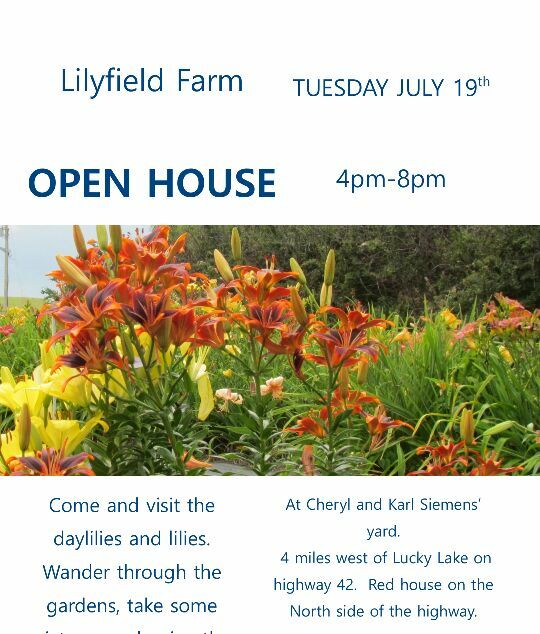 Welcome to Lilyfield Farm where daylilies and lilies are grown. Hardiness breeding is inherent thanks to the west central Saskatchewan, Canada, zone 3, location. 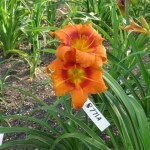 Cheryl has been breeding flowers since 2007. 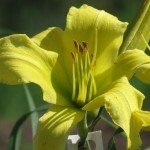 Daylilies are shipped bare root across Canada. 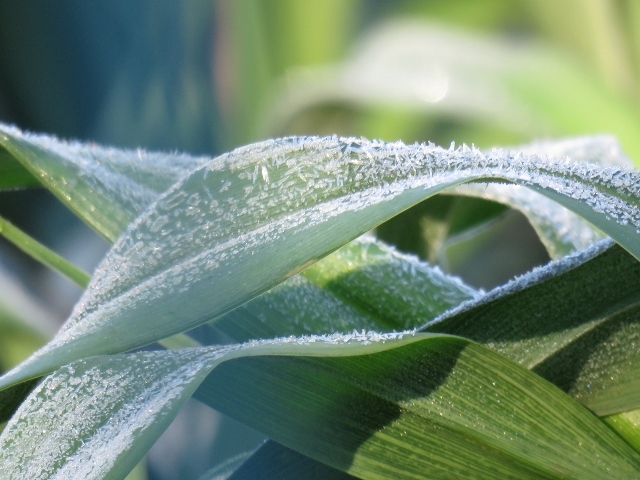 The timing is mid-May to June, once most hard frosts are gone. 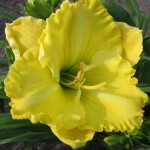 All are double fans, increasing the likelihood of bloom the first year. Due to the location, the gardens are not open to the public. At day 14 after planting these seeds and 15% cam up. At day 17, 50% are up. Lily seeds take their time and your patience. They are so worth it. Growing from seed gives you a one of a kind flower that no one else will have. 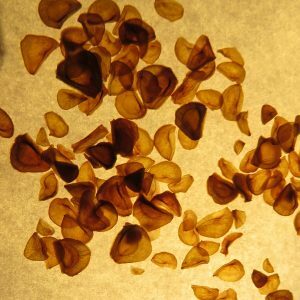 Just like humans, each seed is different. No clones here. Continue reading to find out how to grow lily seeds. a. 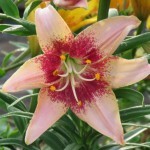 Save seed produced by your own lilies. That is what we do at Lilyfield. b. 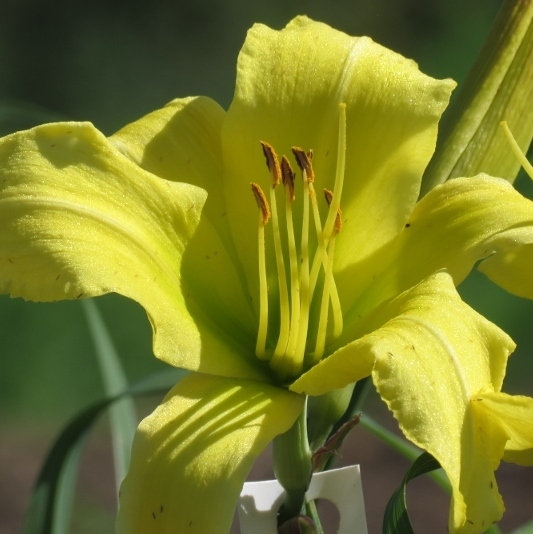 Access seed exchanges through the Royal Horticultural Society Lily Group or The North American Lily Society. c. Buy seed from a source. 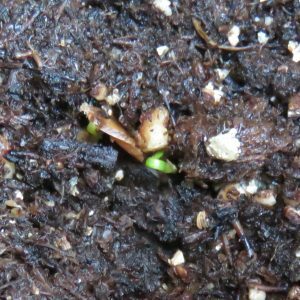 Lilyfield seed here. d. Trade seed with a friend. Step 2. Saving Your Own Seed – Go to step 3 if you are buying seed. 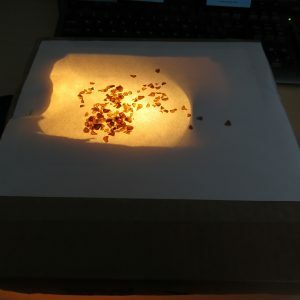 We candle all our seed to give the best chance possible for germination. Candling involves back lighting seed, then selecting only those seeds that have a visible embryo. All seed we sell have visible embryos. Fill clean, pots that have drainage holes with moistened soil-less mix. (Potting soil, seed starting mix or your own favourite blend to start seeds in). We do a mix of peat moss, vermiculite and perlite in bleached containers. Plant seeds 1 cm below soil surface. Cover with mix and pat down. Cover container with a bag or dome to make a mini greenhouse effect at room temperature. Once sprouts show, 11-21 days, put underlights or in a window. Once the seedlings are big enough plant them outdoors. We usually do ours from July through September. Mark them with a label so you don’t forget where they are. Wait a couple years and the flowers will start coming! Enjoy! This year we are only selling our introductions. 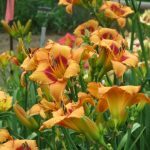 After a too wet summer in 2016, which led to disease and then a cold winter in 2016-2017 which saw most of the commercial daylilies die out, it was easy to make that decision. 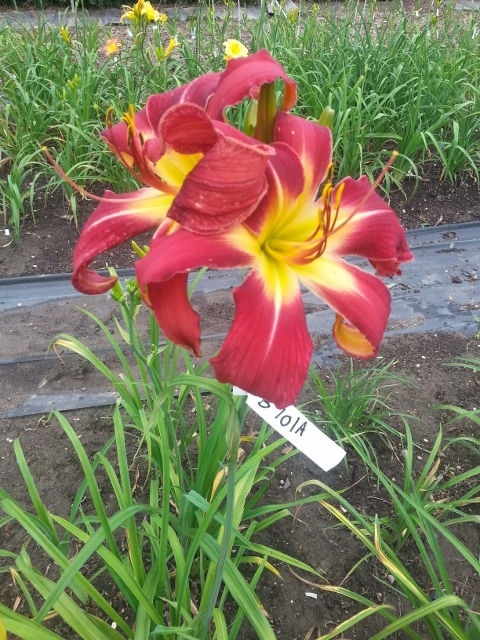 Of note one daylily, Notify Ground Crew handled the disease and cold like a champ. As well its hundreds of babies are alive and thriving while thousands of seedlings and hundreds of cultivars around them died. We have our first introduction in 2018 out of Notify Ground Crew. The nice and tall KC ON A HILL! On the much shorter side is the drought resistant NEXT YEAR COUNTRY appropriately named for farmers! 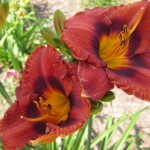 We will be listing daylilies for sale just as soon as they start greening up! Right now everything is still hiding underground. Hope you had a good winter and are ready for things to be green and growing! 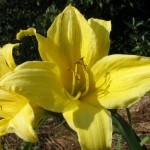 Just so you know, we are not planning on selling lily bulbs this fall. 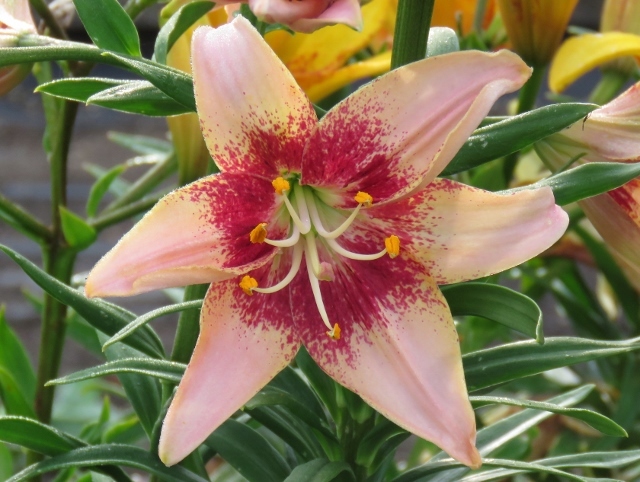 We are focusing on breeding botrytis resistance lilies only at this time. A big boost was receiving plants from Albert hybridizer Fred Fellner. Social Media!! 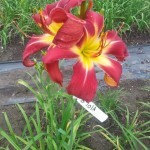 If you are interested in what is going on in the garden we are on Facebook and Instagram. A few nights of frost? 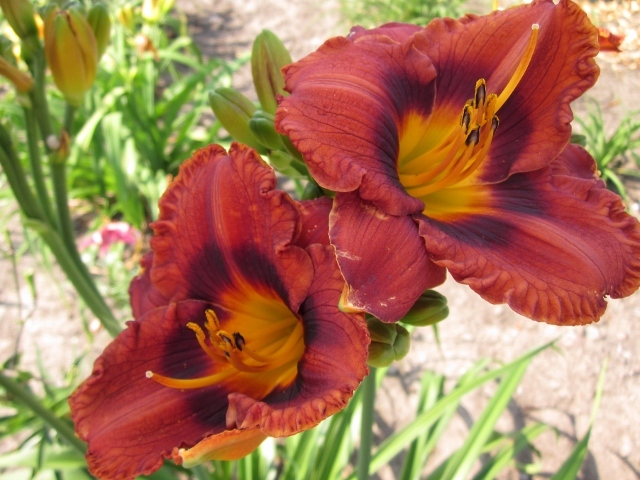 The daylilies should be fine. 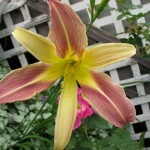 The foliage pictures are of daylilies covered in frost during lots of active growth. 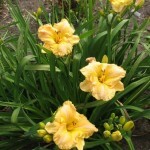 As long as the daylilies don’t have scapes with buds on them, they should be fine even if they are laying flat out. 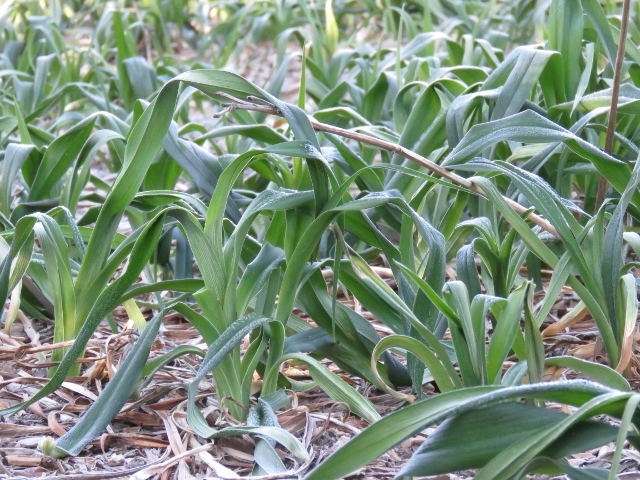 In 2015 we had 11 nights of May freezing temps including -5.8 C and -4.4 C. The effects that year were some browning of foliage, see flower pics, and shorter than usual scapes. 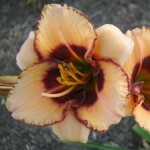 Despite the cold temperatures in May, we had beautiful blooms and increase on plants. 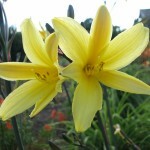 The two flower picture show the foliage on some seedlings later in the year. Of course the effects will depend on duration of freezing as well as temperature. 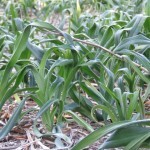 Foliage of seedlings. Mid July. 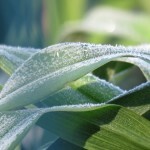 Morning frost on a daylily plant.Mid May. Drooping daylily leaves. Mid May. Foliage of seedlings, showing some brown. Mid July. 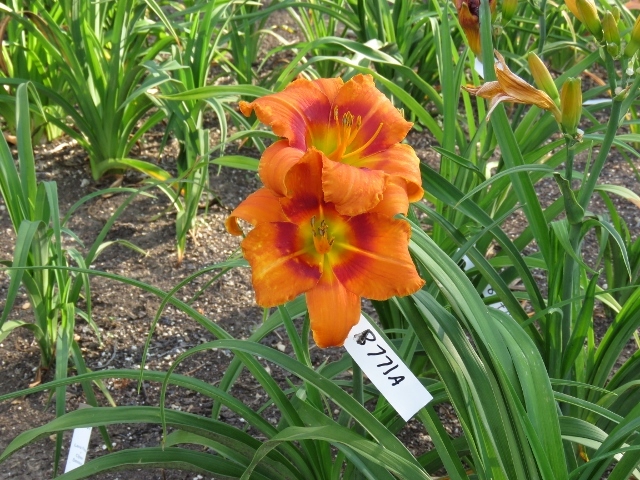 The winter of 2013-2014 led to the selection of a few super hardy daylilies for zone 3. No tree, snow, or mulch protection -30C plus windchill. All that was left in the open were these six. Winter 2014-2015 should lead to more discoveries as January had 2 weeks of no snow cover and plus temperature. Karl suggests that when working with our growing conditions, a medium should be considered instead. Using round straw bales as a snow catch would make a huge difference to chances of a daylily living through winter here. Still it is fun to discover which plants are above the rest when it comes to sheer cold/freeze-thaw hardiness. He has a point, and I will likely choose some sort of winter protection if anything is to thrive in the open. At the same time the test for super hardiness in seedlings and cultivars without any winter protection will continue. There are two that I would consider close to the above in hardiness, but they had other plants near them that may have contributed to a bit of snow catch.